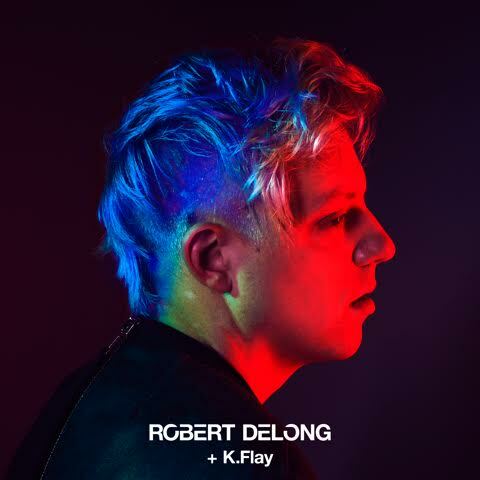 Robert DeLong returns with new single “Favorite Color is Blue” ft. K.Flay out now via Glassnote Records. The song is the first taste of music for fans with more music to follow later this year. DeLong is already confirmed to play Panorama Festival this July with additional dates to be announced. Co-written with and featuring two-time Grammy® nominee K.Flay and produced by Robert, the first single “Favorite Color Is Blue” marches forward on a stomping beat, glitch-y bass, resounding handclaps, and a rich harmony. Most recently, his 2015 sophomore album, In The Cards, yielded a string of fan favorite singles such as “Don’t Wait Up” and the smash “Long Way Down”—which peaked at #3 on the Alternative Chart, clocked over 30 million Spotify streams in addition to 3 million YouTube/VEVO views and counting. The record garnered acclaim from Billboard, Baeble Music, iHeart.com, and more.